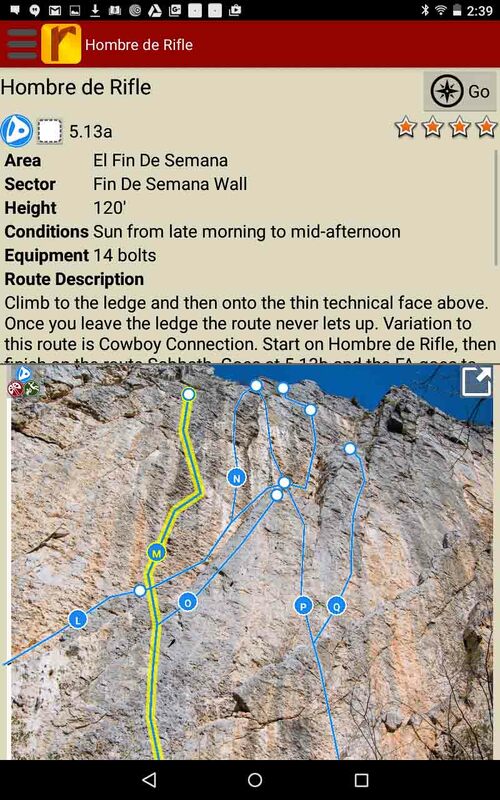 El Potrero Chico is the world's largest big wall sport climbing destination and is home to over 600+ sport routes. 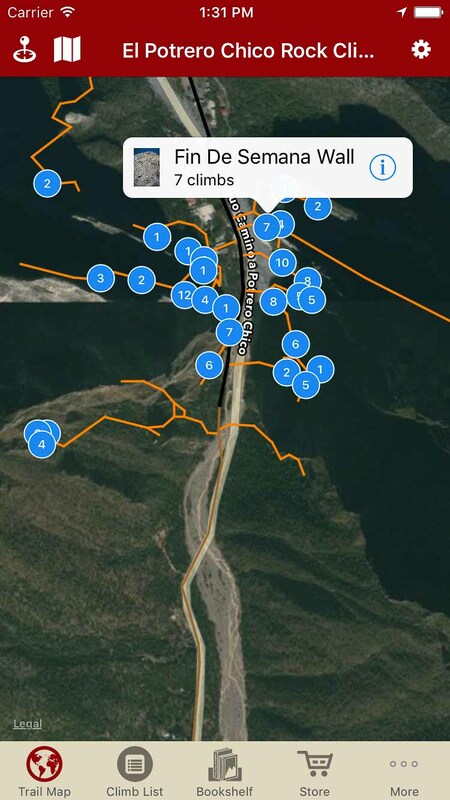 Located on the outskirts of Hidalgo Nuevo Leon, Mexico, a quaint little town that has been welcoming to the climbing community since the late 80's and early 90's. The sharp contrast between the low of the valley where the town sits and the very tall towering walls of EPC creates a very beautiful scenic view. These limestone walls have been developed with some amazingly large routes that are bolted all the way to the top. A great place for the beginner sport climber to get into the awesome world of multi-pitch climbing. Although many of the big multi-pitch climbs are considered moderates ranging from 5.10a to 5.10d, there are several that reach into the 5.11 and 5.12 range and even a couple in the 5.13 range. So there is plenty of amazing big walls for everyone. That being said, the single-pitch climbing in El Potrero Chico is top notch. 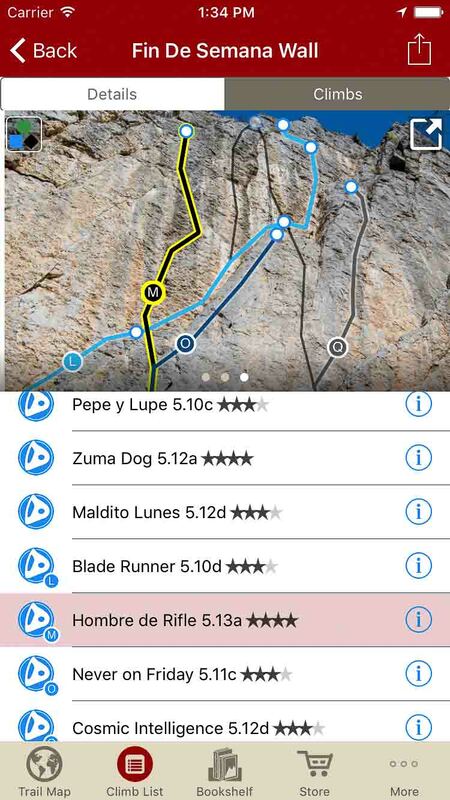 There are amazing routes of all grades from 5.7 to 5.13. So when you need a rest from scaling the massive walls, enjoy some of the cragging that is available in some of the other single pitch crags. Outrage wall, The Surf Bowl and Estrellas Canyon are well known for some amazing single pitch climbing. The style of rock here is mostly slab/vertical face with a couple of crags that hold some beautiful overhanging steep climbing. The Lower Sense of Religion (better known as Moto Wall) and The Virgin Canyon have some of the best single pitch face climbs in the area. If you are looking for something different though, The Surf Bowl and Outrage Wall will be your best friend if you want to get on some awesome overhanging tufas while you are visiting. The weather down here is great during the winter and prime sending temps last for months. 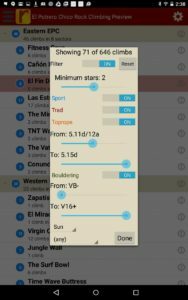 During the summer the sun situation changes for most of the crags and the hot Mexican sun pelts the walls with wicked hot rays. Find the shade!! With the climbing areas on mostly north or south facing walls you can always find shade when it's hot outside. A small part of the local community has stepped up to provide all the amenities necessary for an amazing climbing trip. When you are in need of a serious rest day there is plenty to enjoy at the campgrounds and around town. Plenty of good places to eat, a hot springs location about an hour's drive from Hidalgo, the city of Monterrey if you are looking for some excitement and El Buho Cafe if you are looking for a great place to lounge, relax and sip some amazing coffee. Take the time to walk around town and check out the local community. The towering limestone walls reach towards the skies while the mariachi music blares through the canyon with locals and climbers alike taking in the beauty of the climbing. Don't be surprised when the locals come up and try to chat with you or even have a beer with you at the crag. They love seeing the "crazy" climbers up on the rock enjoying the beautiful place they live in. Before long you'll be dancing to the mariachi music with whatever strength you have left from the amazing climbing here. 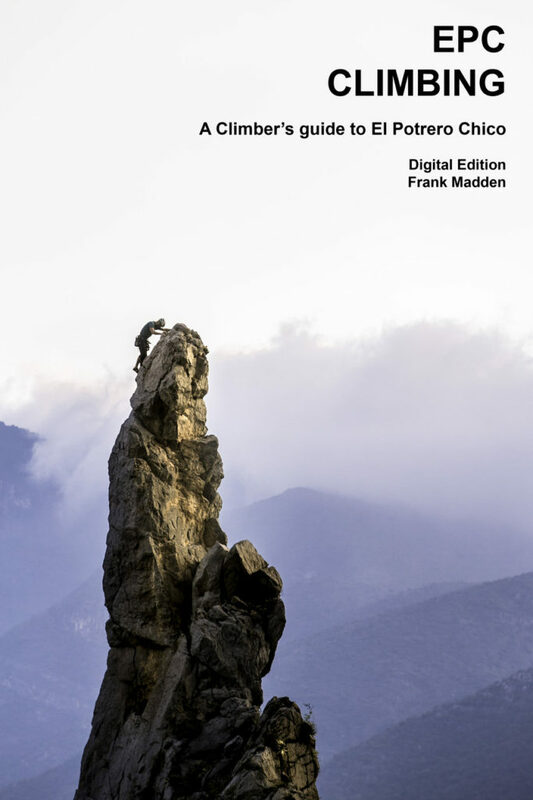 The initial release of this guidebook is going to have over 400 routes with detailed route information and another 200+ listed routes. The few areas that still need information collected, will be finished up this winter. So look for updates to come as each area gets finished through November and December until the guidebook is complete. 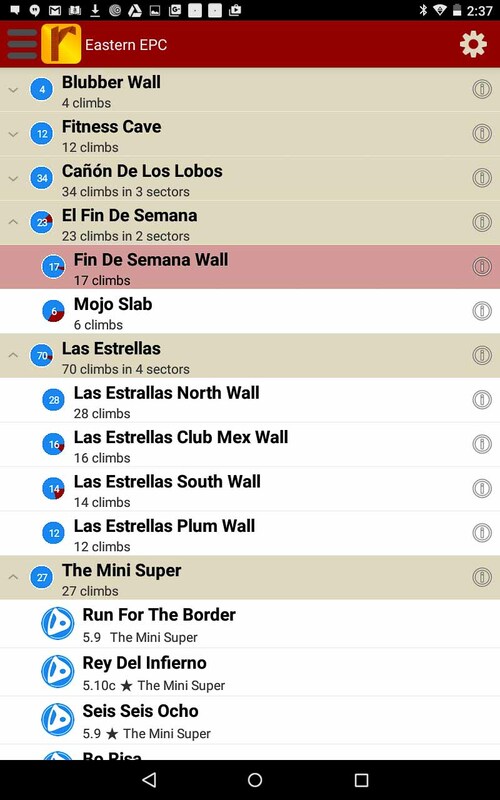 So keep an eye out for the updates in your app and get out there and start enjoying the amazing climbing that El Potrero Chico has to offer. 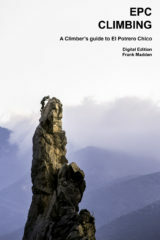 Buy both versions of the guidebook (print and digital) for only $50.99! That price includes $7.00 for shipping, meaning that you get the book for only $28 more! A screaming deal on a beautiful guidebook! 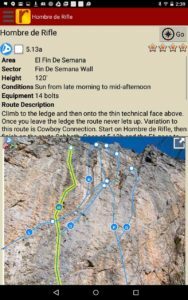 Explore El Potrero Chico’s climbing like it was meant to be explored via our interactive trail map. 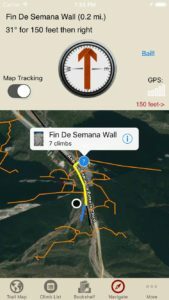 rakkup guides you car to your crag then shows you a picture when you arrive. Awesome. 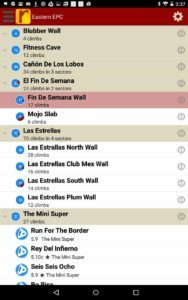 All those El Potrero Chico climbs in a searchable list. 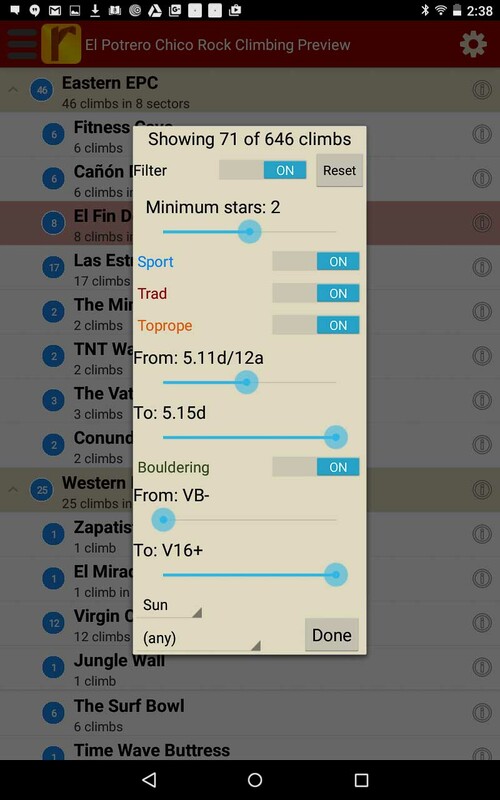 Filter climbs to show only the grades you want to see, or map where the highest quality climbs are found! Tired of bad beta? Use Frank’s beta to send your next proj!